G Grubauer, et al（1989）「Transepidermal water loss:the signal for recovery of barrier structure and function.」The Journal of Lipid Research(30),323-333. Imokawa G, et al（1991）「Decreased level of ceramides in stratum corneum of atopic dermatitis: an etiologic factor in atopic dry skin?」J Invest Dermatol.(96)(4),523-526. 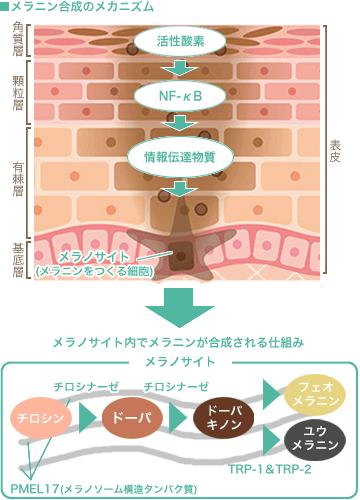 Di Nardo A, et al（1998）「Ceramide and cholesterol composition of the skin of patients with atopic dermatitis.」Acta Derm Venereol. (78)(1),27-30.